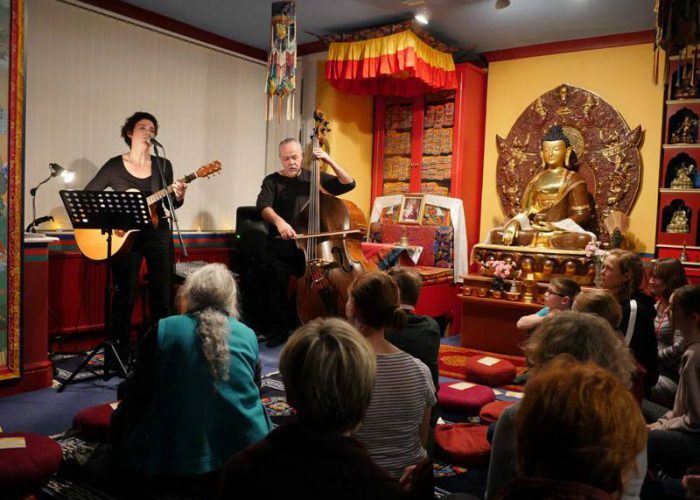 On Saturday 8 December, the Sakya Buddhist Centre’s traditional, vibrant shrine room was home to a wonderful evening of poetry and music by the acclaimed artist, Emily Maguire. 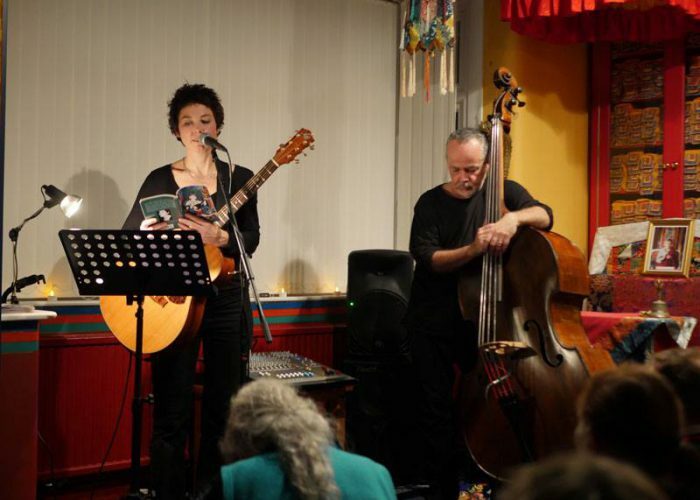 This was the culminating event in Emily’s tour celebrating the publication of her third book, ‘Meditation Mind’, a collection of poems inspired by her Buddhist practice. 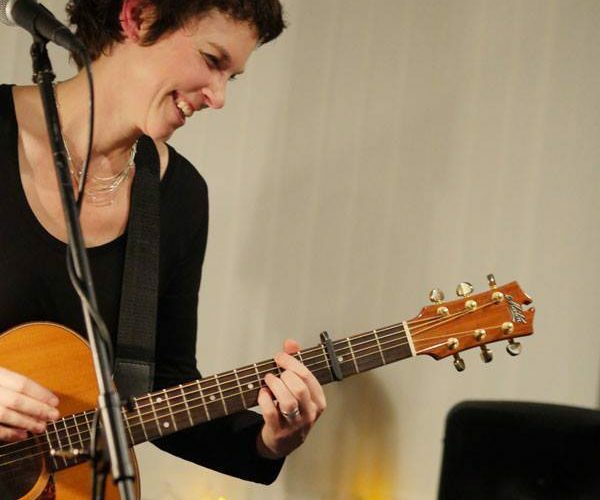 Emily, performing on acoustic guitar and accompanied by her husband Christian Dunham on double-bass, moved, amused and captivated a sell-out audience, then took time to answer questions on her work, such as how she approaches song writing and what comes first – music or words?! 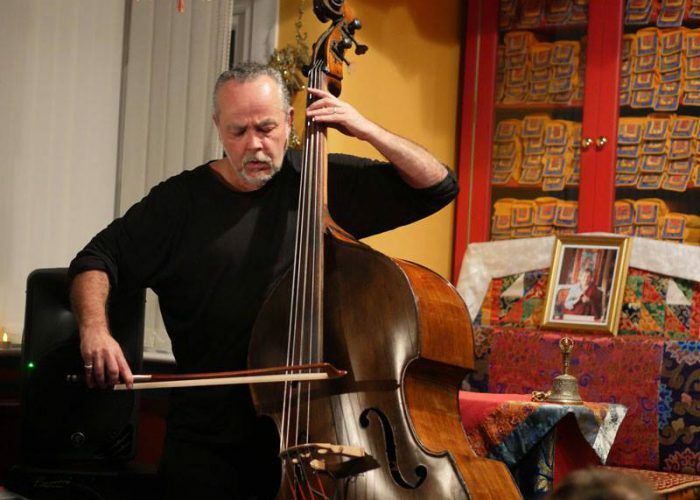 Emily has been a student of Lama Jampa Thaye, the spiritual director of both the Centre and the Dechen community for many years. 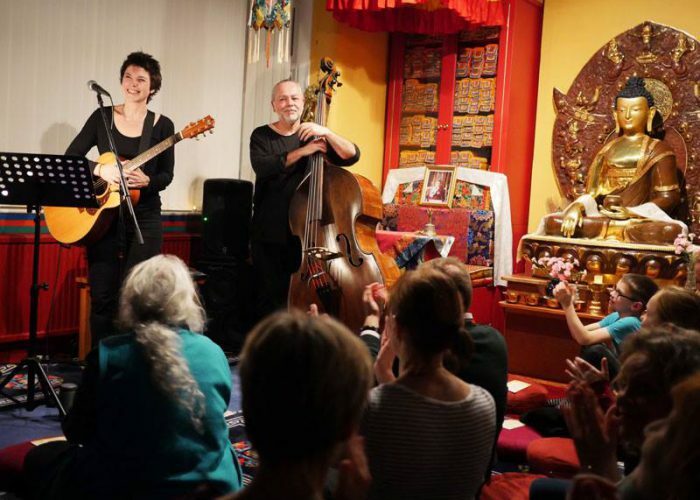 Proceeds from this gig will go towards supporting the work of Sakya Buddhist Centre Bristol. 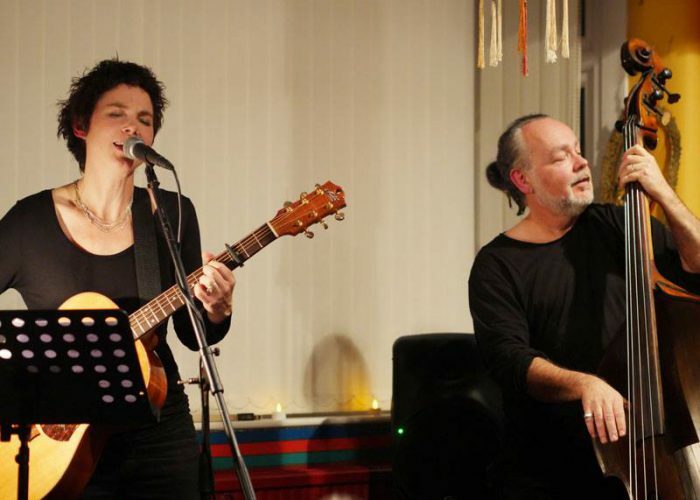 Everyone at Sakya Buddhist Centre Bristol extends heartfelt thanks to Emily for her support and wishes both her and Christian all success and happiness as they start the next chapter of their adventure in Australia in 2019. We’re already looking forward to hearing the new album when they return in 2020 so watch this space for details! 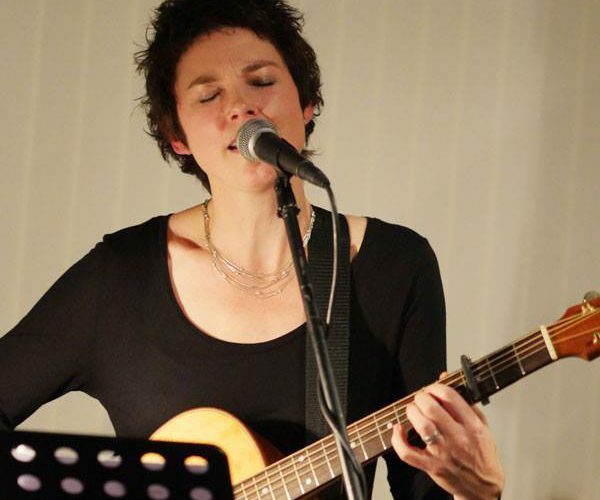 To find out more about Emily’s work and to join her mailing list, visit https://emilymaguire.com/. You can also follow her on instagram at https://www.instagram.com/emily_maguire_music/. Reading 'Walking On Air' from my new book 'Meditation Mind'. I'll be reading poems and singing acoustic songs in bookshops and Buddhist centres across the UK during November and December. Details at www.emilymaguire.com/shows/.